So. that just leaves the hard bit, 7 random facts about myself! I love making up silly songs and writing limericks. I went to a comper's meet the other week, where you had to write a limerick as part of one of the competitions. By the time I'd got the train there, I'd written eight! Here is an example; Sometimes it's hard to relate, to my teens when they procrastinate, Their rooms are covered in tat, They've buried the cat, And all I can do is berate! Not exactly Shakespeare, but it keeps me amused. I am quite good at Origami. I love Origami. It's amazing to watch a little scrap of paper take on a form all of it's own. Actually, that sounds like a blog post in the making. Right there! The underside of mushrooms make me cringe. I've no idea why. It's ridiculous, they're just mushrooms. But there it is. I used to be really good at the saxophone. I could well still be, but I had to sell it in 1998 to pay the gas bill. I have mentioned before that I like to enter competitions, but you may not know that my first win was £476 in a radio quiz, where you had to answer ten general knowledge questions in under a minute. Not as easy as you'd think! I suffer from a lot of throat and ear problems, which I recently discovered were aggravated by an intolerance to dairy. Which is really annoying, because I'm rather partial to chocolate! I'm a bit funny with mushrooms too! I just don't like the texture of them! 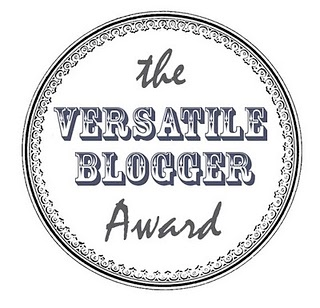 well done you are certainly a versatile blogger!